Jay Trobec, Ph.D., is chief meteorologist at KELOLAND TV in Sioux Falls, South Dakota. 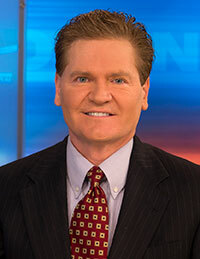 In addition to television duties, he has taught meteorology and physical climatology at South Dakota State University. He is a Fellow of the American Meteorological Society, and is an AMS Certified Broadcast Meteorologist (CBM) and Certified Consulting Meteorologist (CCM). He also acts as liaison to the AMS on the Media and Communication Team.